Chicago Bears’ No. 2 overall pick from the 2017 NFL Draft quarterback Mitchell Trubisky rolled up to the Bears’ facility in his grandma’s Toyota Camry. The Chicago Bears used to have a franchise quarterback that they didn’t like all that much. Now he calls games for FOX with Kevin Burkhardt and Charles Davis. Though the Bears did spend a small fortune on Jameis Winston’s backup Mike Glennon in free agency, Bears general manager Ryan Pace is all-in on North Carolina Tar Heels quarterback Mitchell Trubisky. Pace shocked the football world to trade up from No. 3 to No. 2 when he didn’t really need to so that he could take Trubisky in the 2017 NFL Draft. Glennon and Bears head coach John Fox were reportedly in the dark about Pace’s decision to trade up to go get Trubisky. Apparently Pace had another weird request for when Trubisky first arrived at the Bears facility: arrive in style in his grandmother’s 1997 Toyota Camry. That beast of an automobile has 170,000 miles on it and a Tar Heels vanity plate on the front of it. 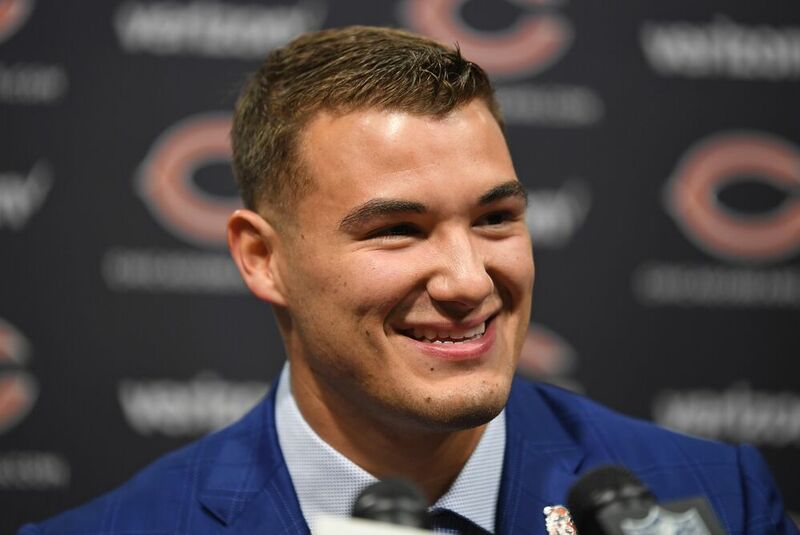 Trubisky may be fresh out of college, but he’s going to be a millionaire once he inks his Bears contract. What point is Pace trying to prove? Certainly not one that will result in the points that actually matter, like the ones Trubisky needs to collect as the Bears franchise quarterback of the future. Chicago had by far the strangest draft of any team in the NFL. Trubisky was a good college player in the ACC, but only started one year at North Carolina. Safety Eddie Jackson was excellent for Nick Saban’s Alabama Crimson Tide in the SEC before breaking his leg mid-season. Chicago used its three other picks in 2017 on guys from schools you couldn’t find on a map. We do know that Trubisky knows how to ride in style to work.